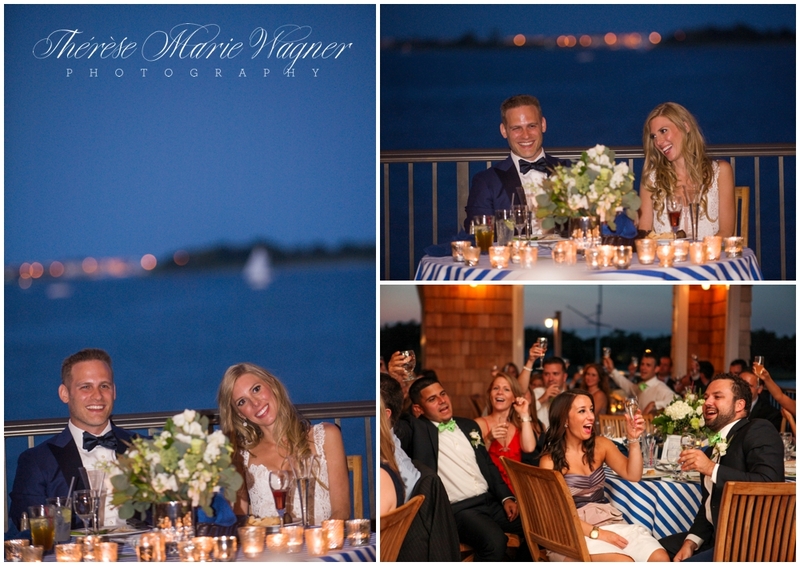 Kate and Mike met in college at Villanova and while friendly they didn't start dating until after graduation. Mike is a true romantic and when it came to proposing he took time and really planned. He started by taking their adorable rescue dog Berkeley on a new walk route in the park by the skyline weeks ahead of the proposal as to not arise suspicion on the big night. He waited until the night before Kate's 30th birthday and began with a "family walk" to the park where he got on one knee and popped the question! Afterward they dropped Berkeley off at their apartment and headed out for a romantic dinner, upon arriving another surprise was in wait all of Kate's family and friends gathered for a surprise 30th birthday party! 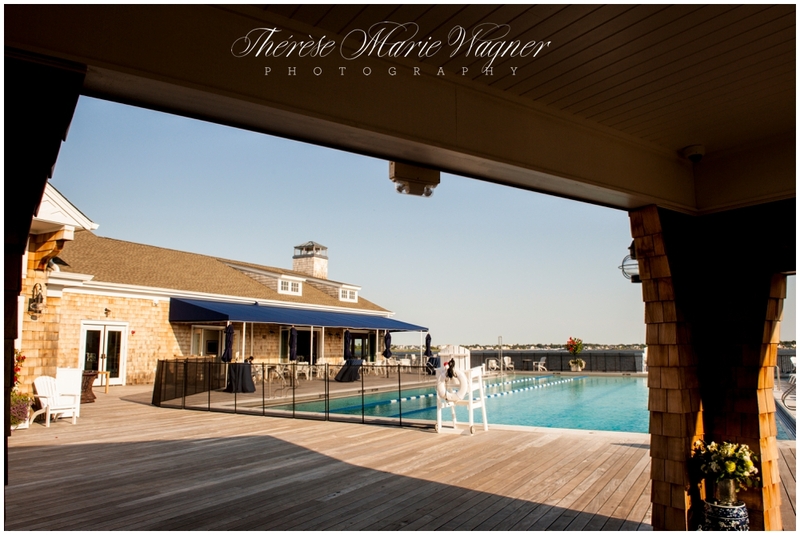 For the wedding the couple chose beautiful St. Georges-By-The-River Episcopal Church and a reception at The Riverhouse at Rumson Country Club with it's gorgeous water views and breezes. 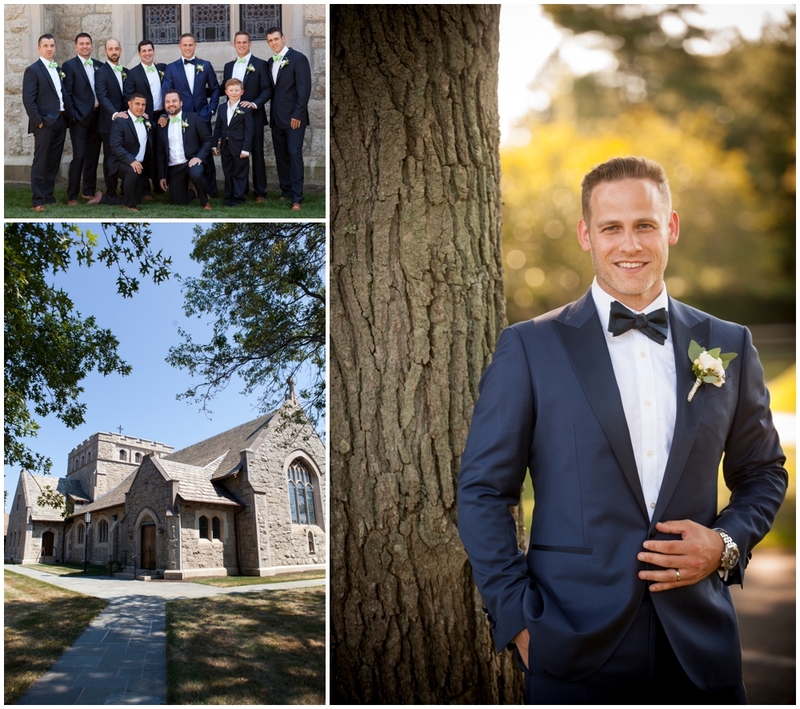 Kate wore a stunning lace Pnina Tornai gown from Kleinfeld Bridal and Badgley Mischka shoes and her bridesmaids had flowing bronze Jim Hjelm gowns. 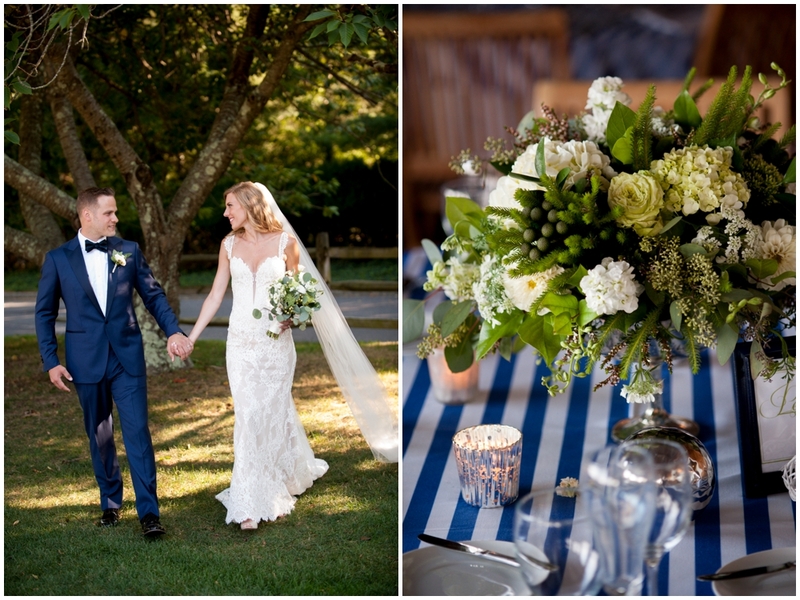 In the Garden Florists created modern nautical arrangements with French blue, kelly green and silver accents. A sunset stroll to the pier finished of the perfect night.